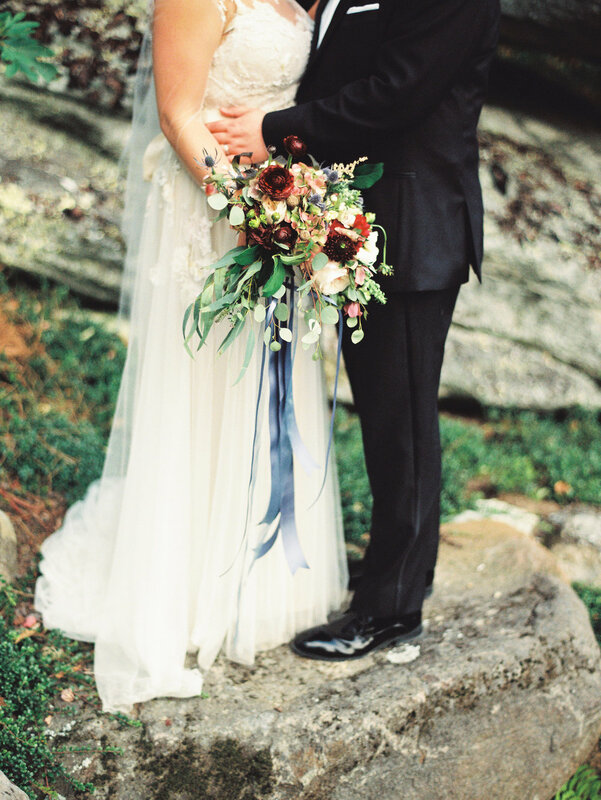 Rachael, a local gift boutique owner of The Local Squirrel, and Jesse, an Army veteran, were married at Rachael’s parents’ home at the first turn of fall in the NC Mountains. 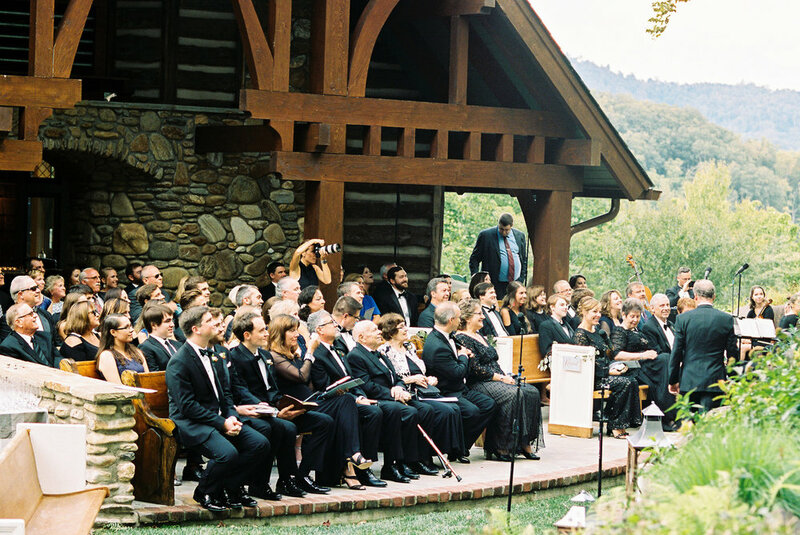 This celebration, featured in The Carolinas Magazine, was magically unique, from a “chapel in the woods” ceremony among Banner Elk’s mountain boulders, to countless thoughtful food and beverage pairings, to details to make each guest feel welcome. 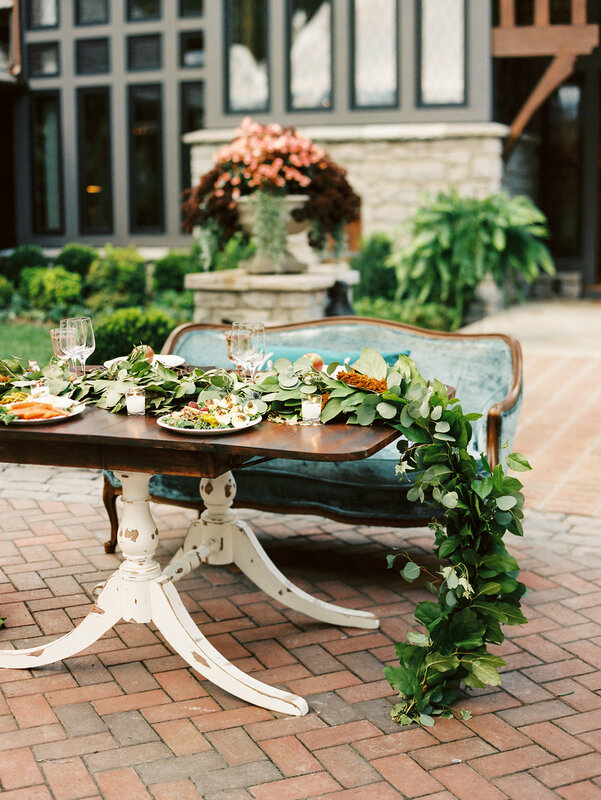 They wanted to use locally sourced items and services to reflect the sense of place, while providing a gracious, hospitable experience each attendee would remember as guests of their own home. 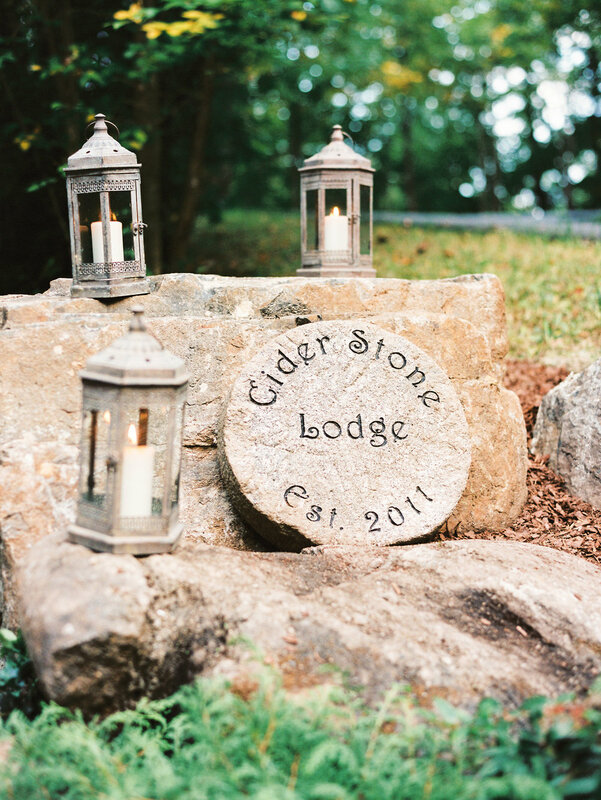 A long and lantern filled driveway up to their mountain home was the first journey guests embarked on. 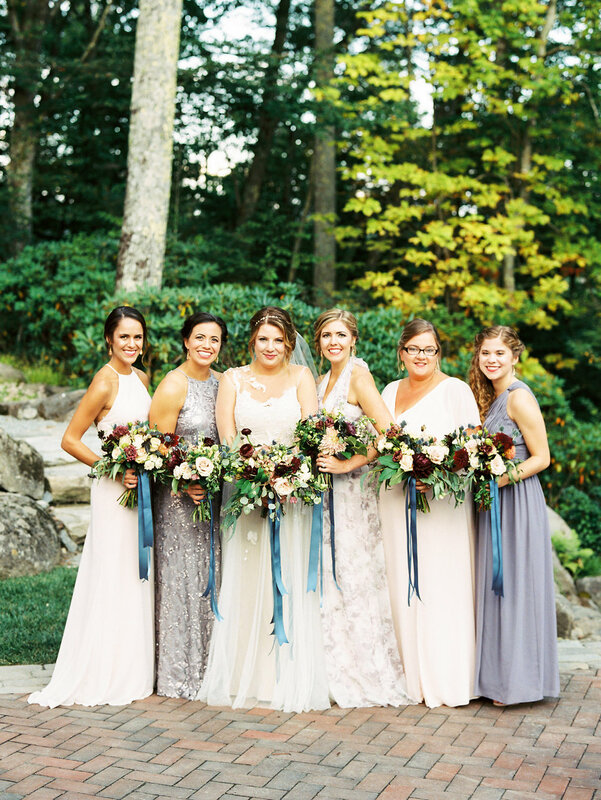 Fall-flavored spa water greeted guests as they made their way under the floral draped stone archway, only to soon see Rachael, Jesse and their wedding party standing atop a large hill of mountain boulders to say their 'I Dos'. Utilizing every space of this spectacular property, cocktail hour began on the back terraced lawn while guests enjoyed music from a string quartet in any one of the property’s welcoming locations: wooden rocking chairs, a warm fire pit, standing cocktail tables draped in velvet and linen, or the home’s fireplace hearth. The evenings food and beverage experience was entirely that of a pop-up tasting dinner. Passed hors devours were each paired with a taste of wine, beer, or local cider. Dinner courses were paired with wines selected by Rachael’s brother and friend, a Master Sommelier from California. 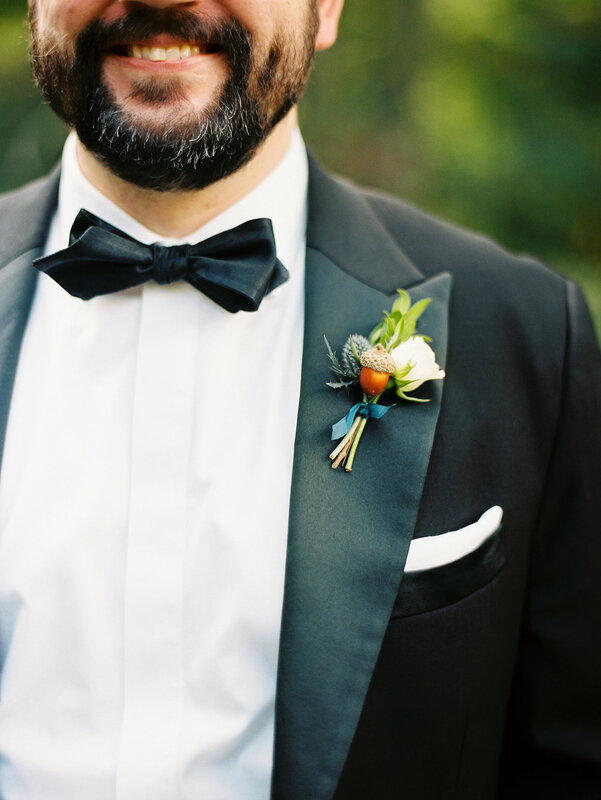 As guests walked out of the front door of the home, a clear top tent, strung with magical lights invited them into the Parisian and mountain inspired reception, showcasing Rachael & Jesse's love of travel. 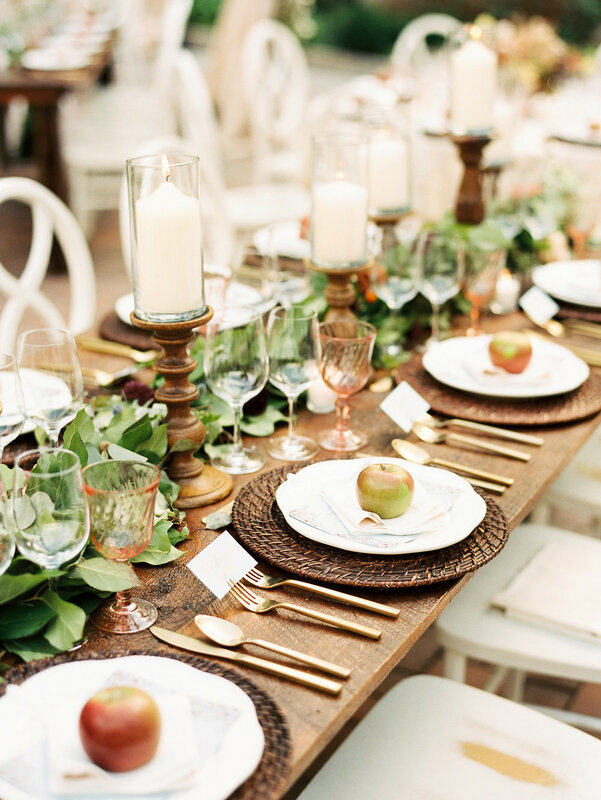 Place settings were mountain eclectic yet gracious, including basket-weave chargers, fleur-de-lis plates (a nod to Rachael’s mother’s Louisiana roots), gold flatware, rose glass goblets and a local apple for decor. 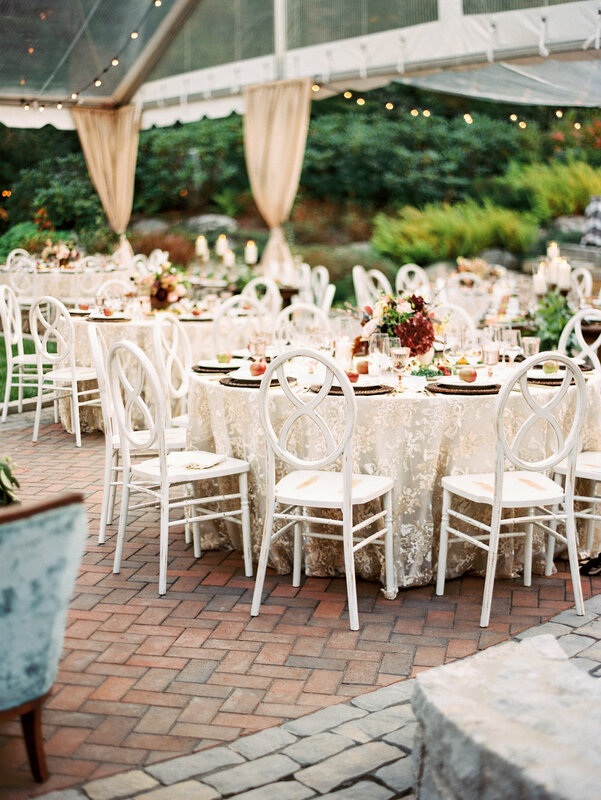 Fall-toned, textured florals saturated the property, on wood barrels, in gold vessels, and dripping off stone archways, and bistro lights gave the tent a magical glow. 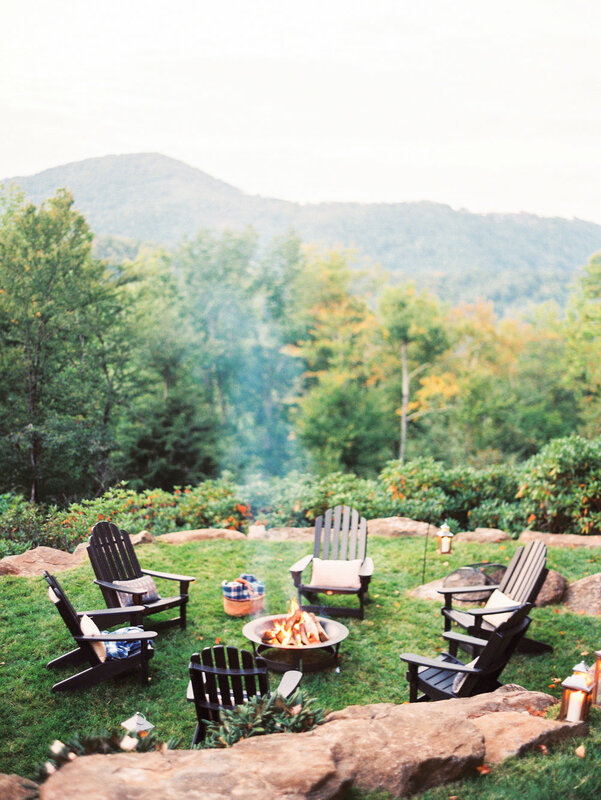 Never lacking in hospitality, Rachael even showered her guests with a "pop-up shop" containing a variety of items from her local store, to send her guests home with delight, but not before a magical fireworks display over the Blue Ridge Mountains. Rachael and Jesse made their grand in Rachael’s father’s 1976 Land Cruiser, adorned with a garland and “just married” sign. Down the mountain path filled with lanterns, they went to live happily ever after! We are so delighted and excited to have been part of this wonderful celebration. 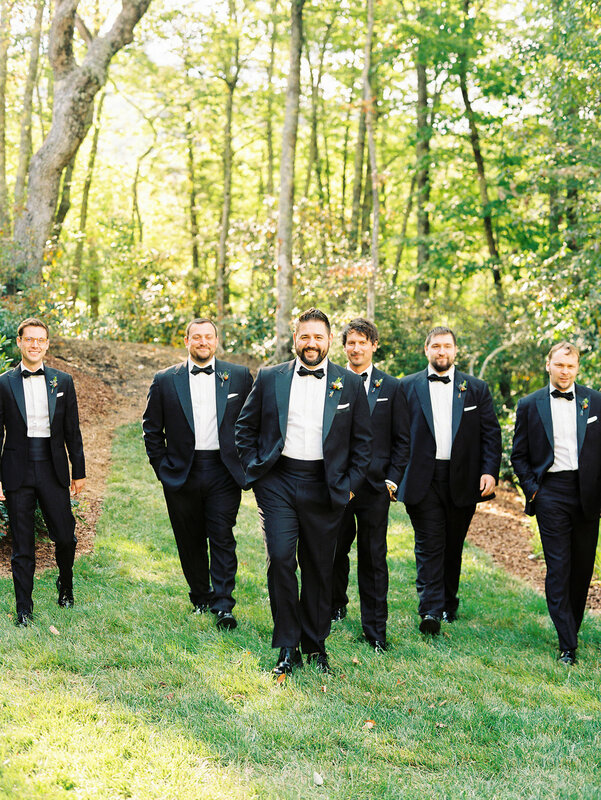 We hope you enjoyed Rachael & Jesse's wedding story, beautifully captured by Nancy Ray Photography and Muddy Trails Videography, as much as we did!